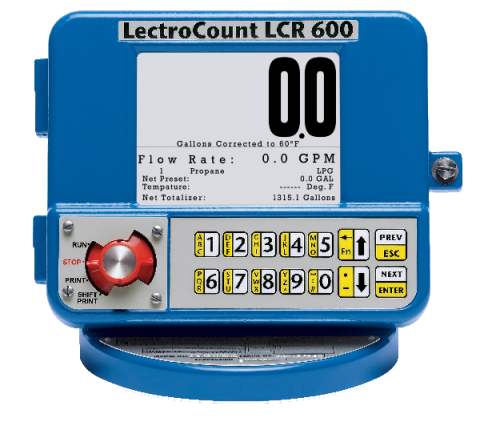 LectroCount LCR 600 – Total Meter Services Inc. Built in keypad for set-up, calibration and preset deliveries – no lap pad needed! Multi-point calibration for meters equipped with LectroCount™ Electronic Registration allows superior accuracy (linearity) as indicated above. Scaled Pulse Output: Open drain output, 1 A Max.